Found throughout North America, it's more likely that you'll see the damage caused by cutworms before you see the cutworms themselves. Cutworms are the larval stage of large, brownish-gray moths with a wingspan of approximately an inch and a half. The cutworm, which is the most damaging stage, is grayish brown as well, are fat, rather greasy-looking, and measure one to two inches in length. 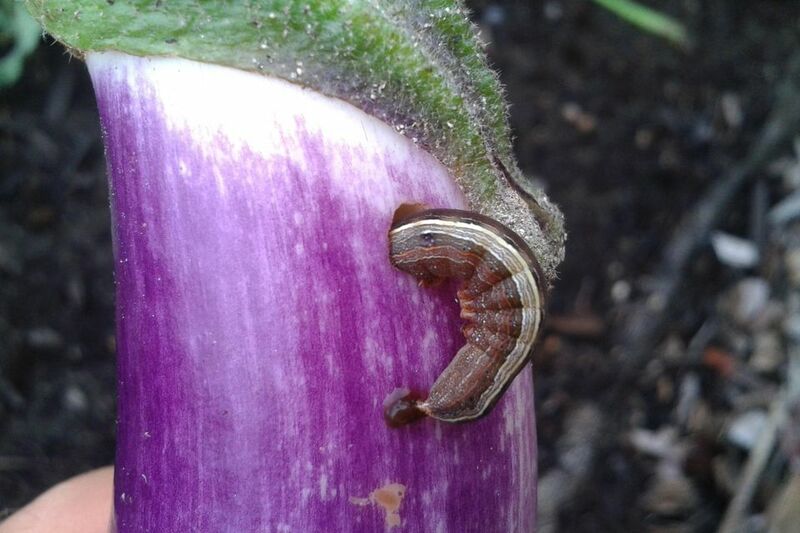 Eggs hatch in early May through early June, and the larva spends three to five weeks chowing down on garden plants in preparation for the pupal stage. They burrow into the soil to pupate, emerging as moths in late August through early September, after which they'll lay eggs on plant stems and soil. The eggs overwinter, and the process starts all over again in spring. Cutworm damage is unmistakable: plants are severed at or near the surface of the soil. They attack early vegetable and flower seedlings and transplants. They do their dirty work at night, and will occasionally eat the entire plant. Very simply -- they die. Cutworms mow the plants down completely, and you have to replant. The best way to protect young plants from cutworms is to place a paper or cardboard collar around your seedlings and transplants. Press the collars down into the soil an inch or so. You can remove these collars later in the season. If you notice cutworm damage, dig around in the soil near the affected plants. Chances are that you will find a few cutworms relaxing before their next round of destruction. Destroy them before they get to any more of your seedlings! If you've had major problems with cutworms, avoid them by doing most of your planting in mid to late June, after most of them have dug into the soil to pupate.